The dividend aristocrats have again proven their value in 2014. The basket of US stocks that have increased their dividends for at least 25 years in a row and are part of the S&P 500, gained in 2014 more than 13%. 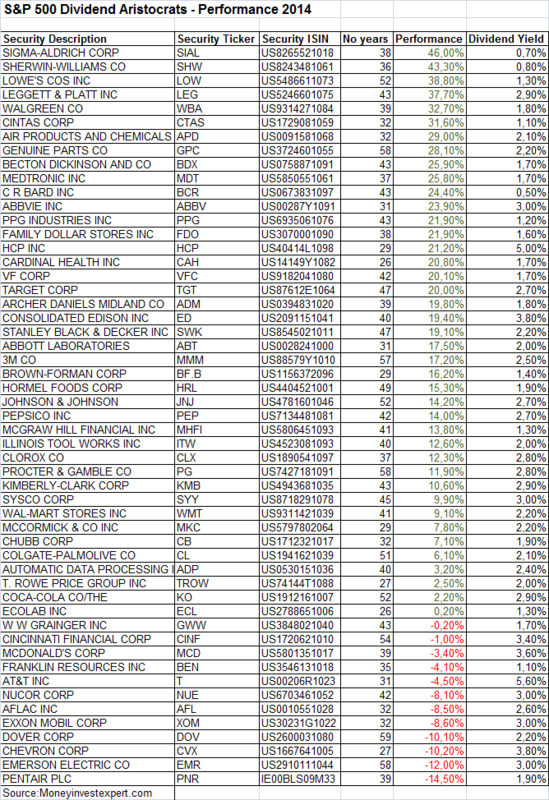 Dividend Aristocrats up 13.05% in 2014. The 53 stocks included in the S&P500 index and so each year managed to increase their dividends, the price return over 2014 was 13.05% and including the dividend yield, the total return was 15.75%. The total return was just as many years, higher than the S&P 500, the SPX had last year a total return of 13.69%.